People can be unsure about what will happen when they come to the clinic for the first time. To help you to be aware and comfortable about you visit, we have put together a page about what to expect when you come to the clinic. We are able to offer treatment for a whole range of conditions, typical to many adults. 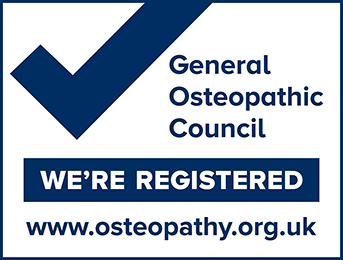 There is a summary about our osteopathy for adults and for the elderly and you are always welcome to call to discuss treatments in advance of booking an appointment. As qualified Paediatric Osteopaths we provide expert support for pregnant women, mothers and babies. We have a page explaining more about osteopathy in pregnancy and for babies, and offer professional advice and support. Treatments are never given unnecessarily. Children and teenagers have their own particular issues, and we treat a range of conditions in children and young people, these range from orthodontics and rapid growth to pathological conditions and postural adaptations. We keep our prices in line with local osteopathic fees, and may offer concessions in extreme hardship. Our treatment costs are detailed, and we hope you find them reasonable and affordable. Our massage therapist Lara Last offers a wide variety of treatments. There is a detailed page here to help you select the most appropriate massage treatment for your condition. We have a small range of selected products for sale. These are both products that we use in the clinic during treatment, and that we recommend to help with posture, ergonomic support and rehabilitation. We encourage people to actively participate in their health and wellbeing, whether they are young or old, ablebodied or less able. If you would like information and downloads on exercices and self care, please see our information pages. Paediatric and cranial osteopathy uses very gentle but highly focused touch, making it especially suitable for children and babies. The bones and soft tissues of the skull are subtly manipulated along with other parts of the body. The “magic touch” comes from the practitioners interpretation and the stimulation and relaxation at a deeper level and assistance to begin a process of self-correction and resolution. The range of therapies we offer and the holistic approach we take, provides individuals and families with a useful one-stop shop for common physical difficulties. We are happy to provide free advice and information, and invite you to contact us to discuss your needs.